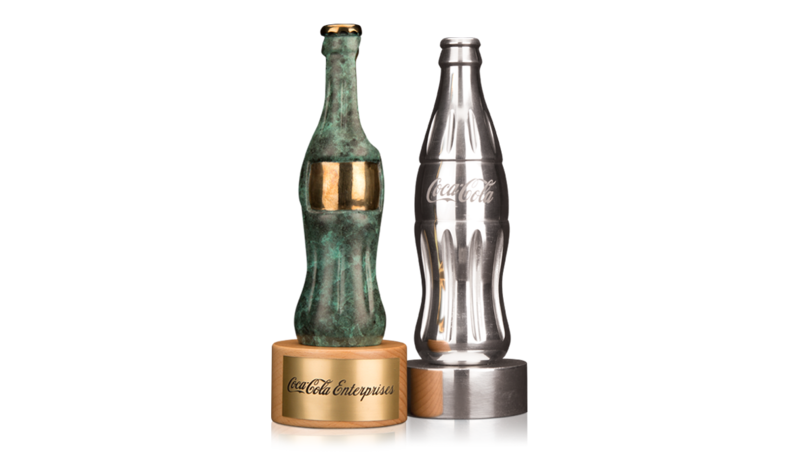 Gaudio has a wealth of experience in dealing with awards for a wide range of corporate clients, creating innovative and stunning designs to suit all budgets. 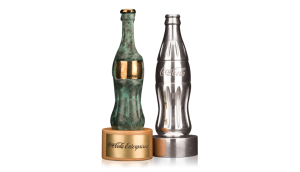 Gaudio creates a range of custom-designed awards for Coca Cola including these fantastic bronze sculptures. Gaudio enjoys a long standing relationship with this prestigious client, producing a variety of awards for international events throughout the year to suit differing budgets and requirements.